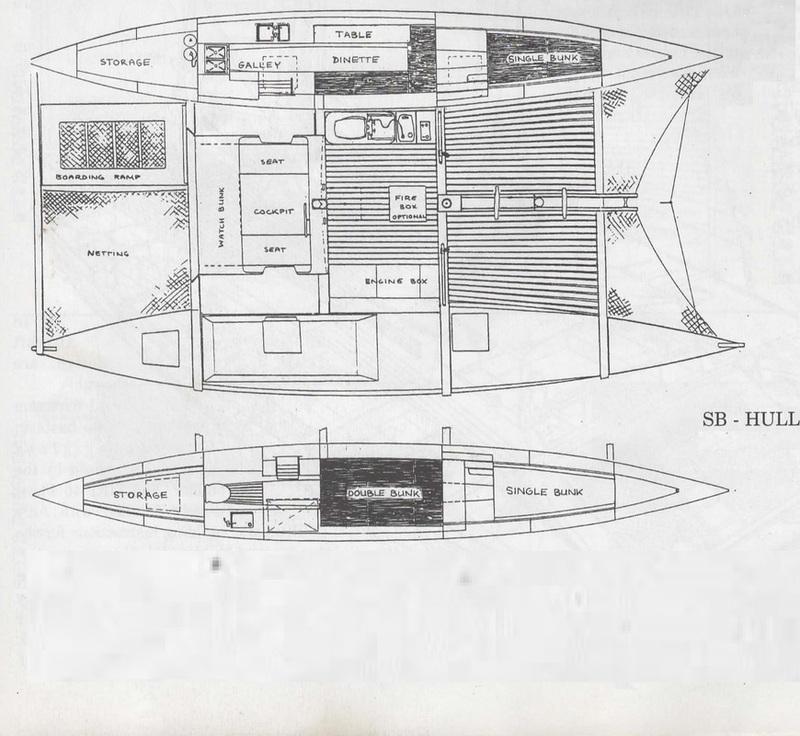 The boat is a Tiki 38 designed by James Wharram. You can research it further (or not) on his website or a number of other web pages. It is a catamaran. I chose this design because it is affordable and safe. James calls it "the Landrover of the sea". Of course, now, the Landrover is an overpriced SUV with air conditioning. 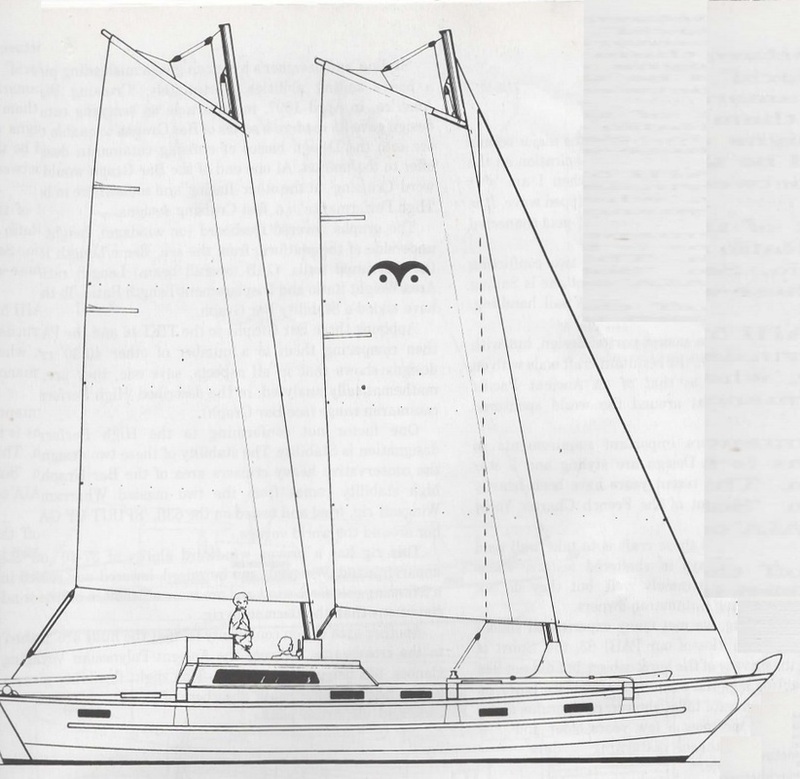 Anyway, you get the picture: The KISS principle, easily repaired, bulkheads designed to keep the hulls afloat if punctured, crossbeams and rudders lashed rather than firmly bolted, slatted decks that hold you on rather than washing you away when large waves hit, shorter masts, and it sail flat. This is Ehecatl, the Aztec god of the wind. He is the guiding spirit of our Catamaran. He begins the movement of the sun and sweeps the high roads of the rain god with his breath. 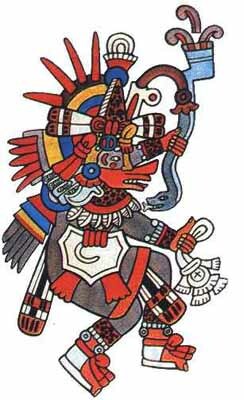 As another form of the great Quetzalcoatl (the feathered serpent), he brings life to all that is lifeless. He brought love to mankind after he became involved with Mayahuel, a young woman. Their love was symbolized by a beautiful tree which grows on the place they arrived on earth. It is said that you can hear him whispering his love in the breezes blowing through the trees. So, why didn't I name the boat Ehecatl? There are other boats of that name, including a Mexican naval vessel. Ehecatl will guide and protect the boat. Lots of Wharram catamaran builders name their boats after Polynesian gods. I'm not a Polynesian, nor an Aztec. I have always said that a man should have a dog. A dog makes you get up and go out into the world. A dog requires attention and helps you forget your petty problems. This is why I named the catamaran "Dog". I can also spell it, and it's "God" backwards. Do not push this button.